It’s day 29…I really should stop this count down, it made January go by so fast! My workout today hasn’t happened yet. It’s early release from school, so once Ally gets home we will head to the gym. Maybe sneak in a short run if it’s not terribly cold. Let’s talk safety, I know we’ve done that before. But, it’s such an important lesson and we need a reminder sometimes. These tips apply to runners and walkers. If you can, run with a buddy. Run against traffic. Never with cars at your back, especially important if you run in the street. Whether it’s daylight or not. Wear bright clothes. Running in the dark in black/gray clothes will not help a car see you. There are tons of blinkers, flash lights, bright clothes out there….find some! Change your routes. When I started out I always ran the same route, I figured it’d be easy for the hubby to find me if I didn’t come back home. Unfortunately, other people start to notice that routine as well. I’m not a fan of posting your routes on Facebook or Twitter either. That’s asking for trouble. Don’t wear your jewelry. You don’t want to give someone a reason to rob you. If you are on a trail/sidewalk, stay to the right. This will keep you safe from getting run over by a biker! Or a runner trying to pass you. Music: I don’t usually wear my headphones except on long runs or races and I only wear one ear bud. It’s best not to wear both ear buds with music up. You need to be able to hear what’s around you. ie dogs, people chasing you, cars. Just pay attention to your surroundings. Always assume the driver doesn’t see you and be prepared to get out of the way! You can put anything you want on your Road ID. I have my name, my husbands name and phone number, my date of birth, and “no allergies” on mine. My husband’s medicine is listed on his. This is especially important if you have a life threatening situation and can’t tell someone if you are on medicine or have allergies. He wears his to the gym. I don’t normally but I should be. I wear it when running and for races. To go along with the topic of safety, our giveaway today is from Road ID. They have tons of options and colors. You can put your Road ID on your wrist, ankle or shoe, with options for the type of bracelet. John and I have the sport band with velcro. Ally got the slim wrist band. The ID plates can be removed and used on different bands from the same line. She will need a bigger band at some point. Some bands even have reflective material. They have several high visibility products I didn’t know they offered, like reflective shoe laces, wrist bands and belts. There are several ways to earn entries in the rafflecopter below. The giveaway is for a $35 e-card good toward the purchase of Road ID wristbands. 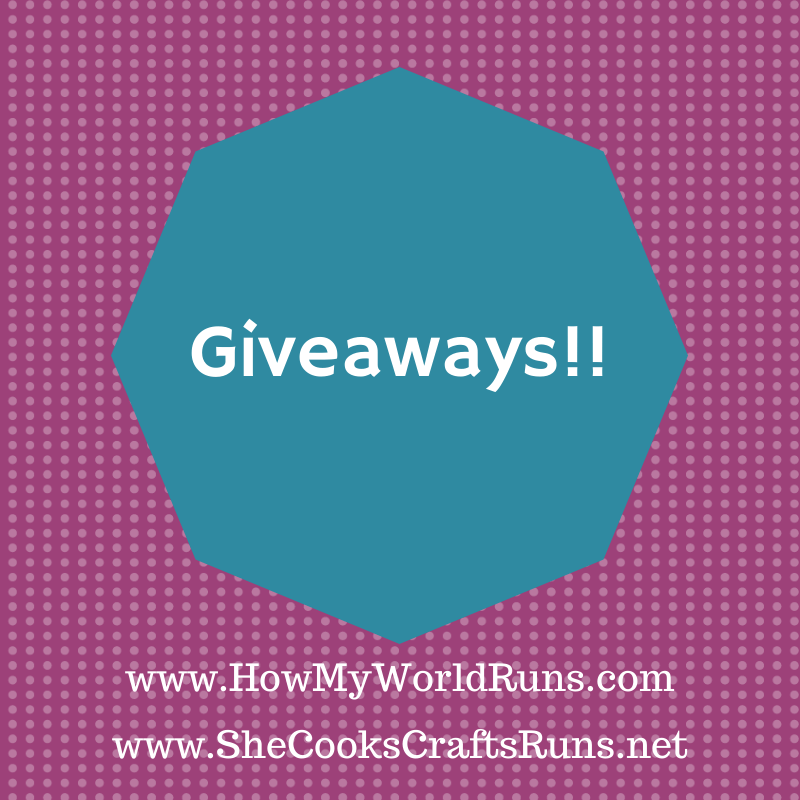 Giveaway runs from 8AM CST January 29, 2014 until 8PM CST February 3, 2014. Winner will be contacted via email. No purchase necessary to enter. Must be a US resident to receive the prize. Void where prohibited by law. What’s your best safety tip? This entry was posted in Challenges, Giveaway, Running, Uncategorized and tagged #JanuaryJumpStart, giveaway, January Jumpstart, Road ID, running, safety tips, work out. Bookmark the permalink. Great tips! I wish more people were aware of these–including people who ride bikes for transportation. Far too often, I see them riding when it’s dark with no reflective gear on their bikes or themselves (which I don’t actually SEE them until they are too close!). So dangerous! Great tips! My best advice is to always tell someone where you will be running and get to know the people in your neighborhood. I’ll be working out inside today since there is ICE everywhere. I have been wanting a road id!! great ideas! thanks! No workout today – too many other appointments. I am going to try and hit my 10000 steps tho! I didn’t work out today; resting a sore left heel. My top safety tips are to run without headphones and pay attention to your surroundings. I’m doing a tempo workout on the treadmill later this afternoon. My best safety tip is to always remain aware of your surroundings. Always be aware of your surroundings. Look up and around, not just at the ground. I’m getting ready to leave for a 5 mile run! Yep! For 20 minutes! Gym day care was packed and I had to wait. I worked out today–went for a good 6 miles! Great tips here–I need to do a better job about changing my routes. I just try to be aware of my surroundings–that’s why I don’t listen to music. I know plenty of people who can’t imagine running without it, but I just feel safer being able to hear what’s going on around me! Fail!!! Didn’t get it done!!!! Despite my best laid plans…. I wear bright clothes and run in lighted areas if I am by myself. I didn’t get a chance to workout today with homework and two college classes, but I sure will tomorrow! I love @RoadId! Thank you for the giveaway. I have a RoadId, but I want to get them for my daughters. 🙂 I always wear my RoadId when I run and tell my husband where I am running. Rest day 🙂 I stick to lit areas and don’t run with music. I did my first body pump class today! Loved it! Best time is run with a buddy and if using headphones, only wear one and keep the one closest to the road out of your ear. I didn’t run today but have a snowy race tomorrow. My safety tip would be to always be aware of your surroundings. Sometimes it’s safer to only have one of your ear buds in and the other ear open to listening for distractions.